9.5" tall tin toy. 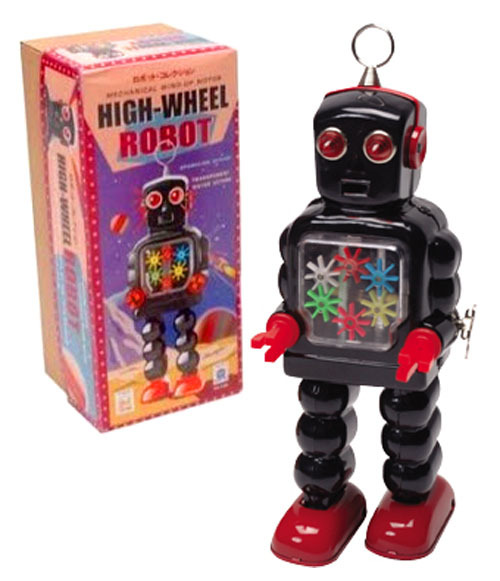 Amazing reproduction of the original 1960's Japan Yoshiya vintage robot with sparking action and 6 spinning gears inside its chest. Antenna functions as on/off control. SCHYLLING COLLECTOR SERIES. For adult collectors only. For decoration only. This is not a toy.